Is there anyone left who hasn't played this yet? 3DS gets a demo and two Virtual Console games this week while Wii owners are left sadly without. Still, there's plenty of Virtual Console games coming to Wii in March, so that's something. Punch-Out!! 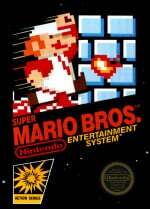 (NES, Nintendo, £4.50/€5) — The classic boxing game is the first non-Ambassador NES game to reach 3DS Virtual Console. Is it still worth paying for in this day and age? We'll review it, of course. Super Mario Bros. (NES, Nintendo, £4.50/€5) — Where it all began. Already out in North America, our review will be ready very soon. Mario and Sonic at the London 2012 Olympic Games (SEGA, free) — A taster of the pomp and pageantry of SEGA's sporting compilation, which you can read more about in our Mario and Sonic at the London 2012 Olympic Games review. Lola's Alphabet Train (BeiZ, 200pts) — A good educational game on DSiWare? Nobody could have predicted our Lola's Alphabet Train review giving this loveable letters game an 8/10, but there it is. Will you be buying anything this week or are you saving your pennies for the upcoming Virtual Console treats? Definitely a very good week for Europe. I'll certainly get Punch-Out!! when it comes to America. Not buying anything this week but downloading SMB and the demo. Got Punch-Out!! on the Wii's VC and i won't pay 5€ to play it on the 3DS again. 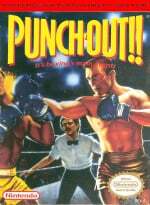 Punch out is a classic and has still aged well in terms of gameplay but I won't be buying it since I already own the original cartage and on the V.C. Is Punch Out worth the 5 Euro if you never played it ? "3DS gets a demo and two Virtual Console games today"
Are the releases today, really? The title says they'd be on the 1st of March. I have Punch-Out on the Wii VC. So I won't be getting this. But it's still an awesome game. So go get if you don't own it yet. @KeeperBvK This Leap Year business is really confusing. £4.50 for a VC release on a handheld is crazy. I feel like Sony and Nintendo really don't get digital pricing. I'm loving my 3DS but will be seriously limiting VC purchases as there are better value ways to play (NES Cart for one). The NES games for 3DS are grossly overpriced considering that they don't support multiplayer between systems. I'm thankful that they haven't raised the cost of points on the Wii Shop. £7 for 1000 points is the cheapest you'll be able to get them for now. Seriously though I wouldn't pay more then two dollars for that even tough it is a great game. How many times can you still push old games at what I consider a very high price. These games are nearly 30 years old Nintendo. You will probably make more money at two dollars then 5! I think for 2 a lot of people would buy it just to have it on their system. Where on earth is Mutant Mudds? Anyone know the release date? Awesome week, but saving my pennies for Kid Icarus: Of Myths and Monsters and the Game Gear games. Are Nintendo really that oblivious to these prices being a joke?... it's hard to believe, but i guess there are plenty of fools willing to pay this much for ancient games. All i can do is laugh and continue to spend my money elsewhere. Oh man. Punch-Out!! is tempting... I already have it on the Wii, but... mmm. GIVE 'EM ZEE UPPERCUTTT! ZEE UPPERCUUUTTTTT!!!!! I've already got SMB from the ambassador scheme but I'll get Punch-out as I'd rather get it on 3DS vc than Wii vc because of the restore points. im sick of everyone saying $5 is alot for a NES game! just cause you guys dont enjoy retro games it doesnt mean to complain! Why id get NES games for 8 each! I don't know how Europe's system works, but here in the U.S., the ESRB rates each game on the eShop, and charges an $800 fee to rate each one. While Apple isn't subject to ESRB ratings (or fees). If you want to know why Nintendo is "overcharging" you, there you go. If Apple (and other digital download venues like Android Marketplace and Steam) were actually subject to these ratings (like they should be), all these downloadable prices would all fall in line. Will probably pick up Punch Out and the Mario & Sonic Demo. Good to see NES games on Nintendo eShop but I had hoped they'd cost £3.50, same as on the Wii Shop Channel. Not that it's much of a bother since I'm an Ambassador, but the price does surprise me a little. 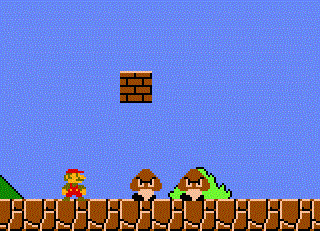 A pretty weak update for people such as myself who a) already own Super Mario Bros and Punch Out! !, B) have no interest in the Mario and Sonic games, and C) know how to spell. Back to Prince of Persia I guess. So... some of the guys say that NES games cost more on 3DS... Why do I have to pay 5€ for NES game no matter if I buy it for my Wii or 3DS? Doesn't really matter as I have almost all the NES games I need. soooooo..... when can i download this for free on my 3DS as I've already bought it on the Wii? .... don't tell me... when the Wii U launches... del that better happen now...! It still doesn't explain the £3.50 on Wii and the £4.50 on 3DS. Just be thankful that Nintendo haven't raised the cost of Wii Points on the Wii Shop.